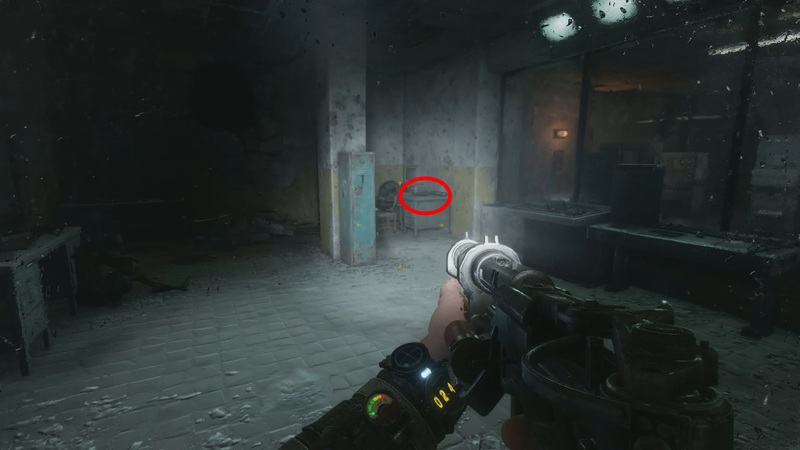 The Caspian is the second large open world map you will visit in Metro Exodus. Unlike The Volga which was wet and damp, The Caspian is a desert. So pack some sunscreen. 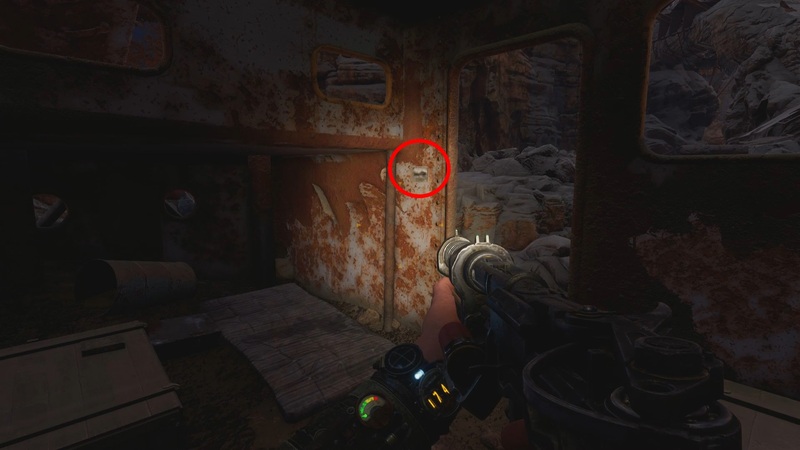 As always I will be showing you The Caspian collectibles locations in Metro Exodus in this post. Let’s get started. I will be breaking this post up into both Diary Pages and Postcards and will give the Suit Upgrades a post of their own (click link above to go to it). To start we are going to find all 12 of the Diary Pages in The Caspian. These pages are located all around the area and can be a bit of a pain to find. Use the map above to find the general area, then consult the corresponding number below for more detailed information. 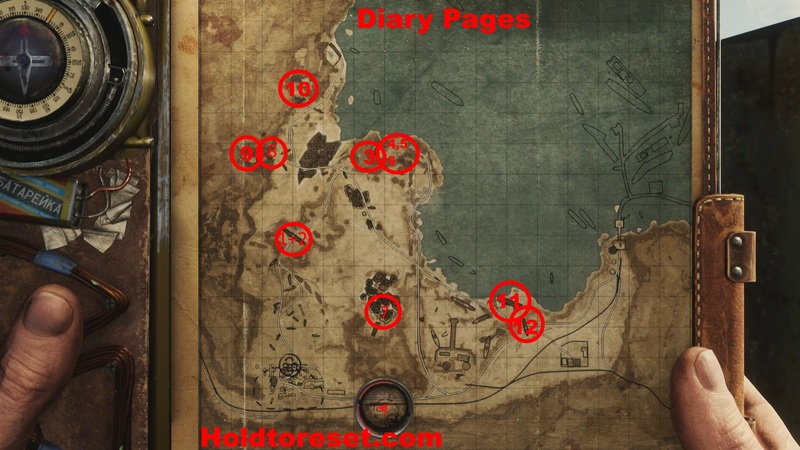 If their is a Postcard/Suit upgrade near any of these Diary Pages, I will mention it. Inside the slaver ship you will find a couple collectibles. 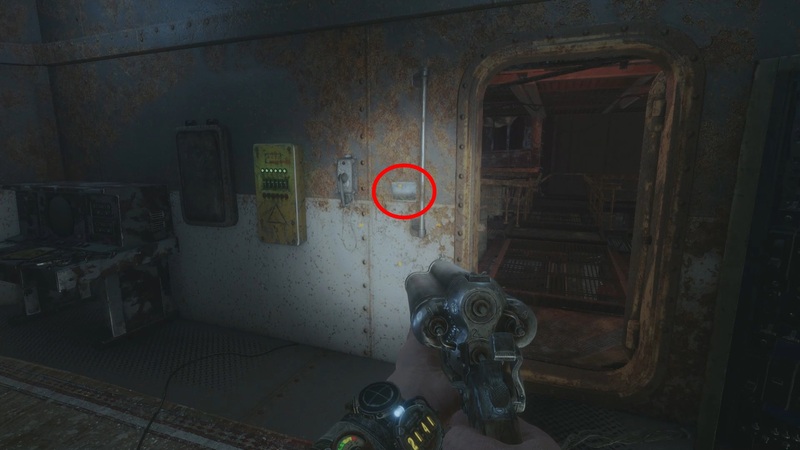 On your way to the Lighthouse, pass through the ship on the left side of the map. Go inside the slaver ship and make your way up the first set of stairs. Walk forward and look right to find the First Mate’s Diary on a table. Deeper in the slave ship you will find another diary. Continue further into the slave ship by going up the ladder at the end of the hall. Take out the thugs in the next area and go up the stairs. Look for a table with radios on it in the room with the next ladder up. On the table is the Leader’s Letter. In the caves leading to the lighthouse you will find the next diary. As you make your way through the cave heading to the lighthouse you will come across a thug dragging another thug over a rock bridge. Take out the enemy and retrieve the Letter to Son by the corpse along the wall. In the Bunker there is a cubicle with the memo inside. Follow Giul into the bunker. 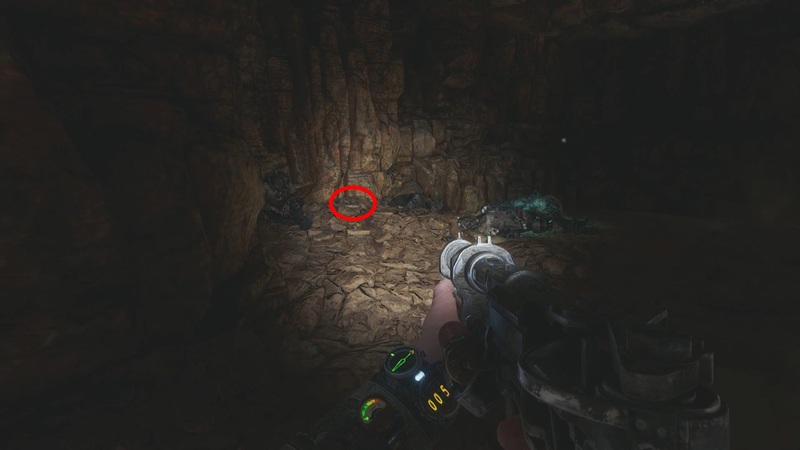 Make your way deeper into the bunker until your drop through a hole in the floor (there are spider enemies around). You will land in a large office like area. From the hole you dropped down from, walk forward towards the double doors then hang a left. Go inside the first cubicle on your right to get the Memo. When you are told to enter the room nearby the closed doors by Damir, you will find the next diary. Continue further into the bunker until your reach a door that Damir says can only be opened from inside. Crouch through the door on the right and enter the room. In this room you will find the Image Analysis diary. 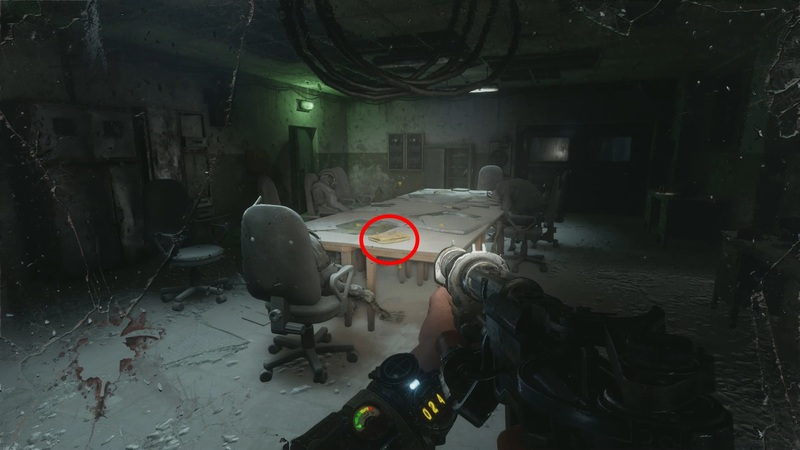 The last diary in the bunker can be found in the map room. 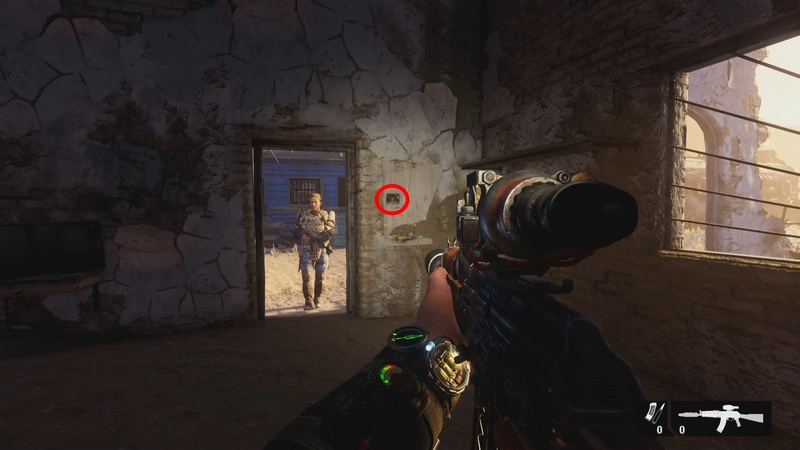 Go through the vents and enter the map room. 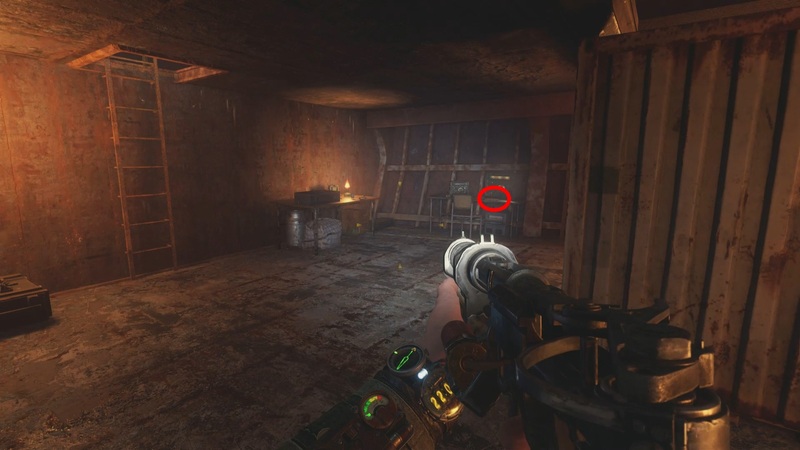 Once in the map room, turn around from where your dropped in and head into the doorway (has green light over it). 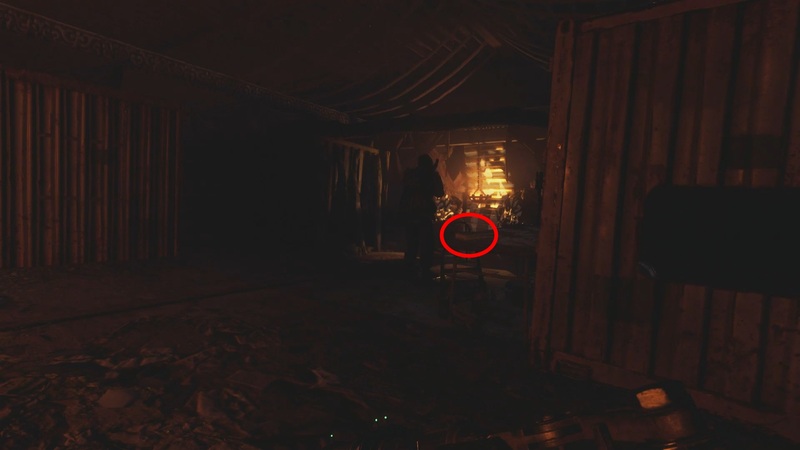 In the next room you will find a number of skeletons around a table. On the table is the Last Order diary. In the room with the Hermit is the Diary Fragments. After you escape the bunker you will be prompted to return to the Aurora. Before doing that there is a ? that appears on the way there which you should stop and take care of. Once this is done, make your way to the Hermit that lives in the old boat at mark 7. In the Hermit’s room you will find the Diary Fragments. Outside the entrance there is an old truck. On table by the truck is the diary page. When you make your way towards Oasis, you will hear an announcement from the Baron. After this announcement a ? will appear on the 8 spot. Go there to find the Baron’s Letter by the truck outside the entrance. Make your way through the arena until you have access to a rope ladder at the end. Go up it to reach this diary page. Go inside the area the truck is outside of and take out all the enemies as you move deeper inside. Once at the end a rope ladder will lower and you can climb up it. 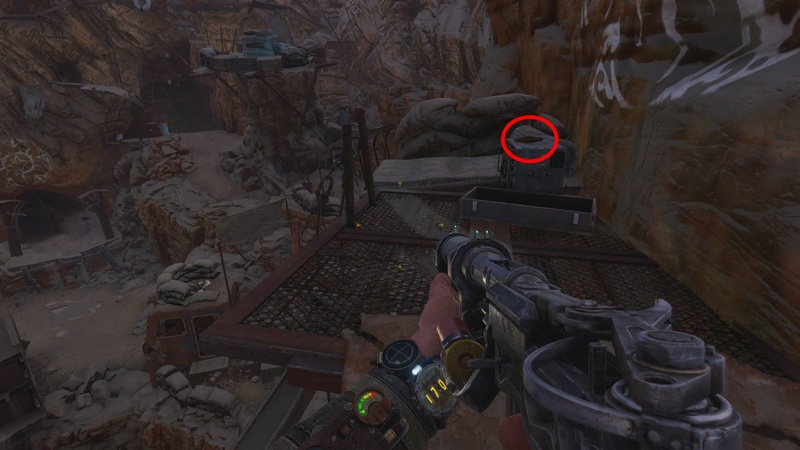 On the barrel in front of you is the Death Note. The upgrade Armored Glass can be found here as well. In this crowsnest in the Oasis you will find a diary page. Make your way to the Oasis and meet up with Damir. Follow Damir until you slide down onto a path below. From this path make your first left up the makeshift ramp and go all the way up to the lookout. On the crate here you will find Letter to the Artist. In the ships control room is the diary. On the coast to the north there is a large tanker which is a bandit camp. Make your way through the tanker until you reach the control room. On a desk in the control room you will find the Shopping List. There is a postcard in this room as well. Near the tanker there is a small bandit camp. In this camp is a diary page. Just south of the tanker is another bandit camp. Go into the bandit camp and look for the burrell fire. South of the barrell fire is a ladder. 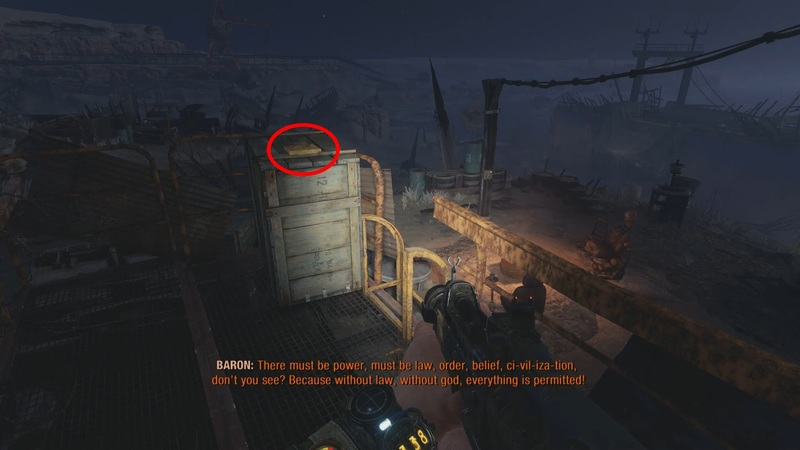 Climb the ladder to find the Charred Note on a crate. 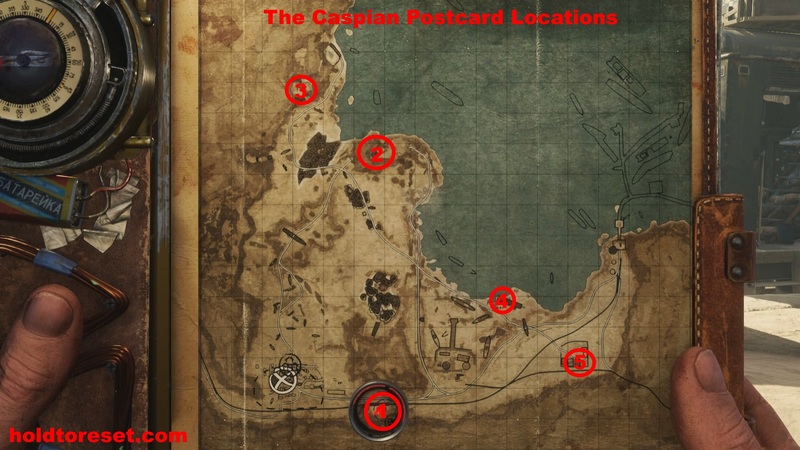 There are a total of five Postcards spread throughout The Caspian. Like the Diary pages, consult the map above to get a general idea of where you will find them. More detail is given below. In the building beside the train is the first postcard. 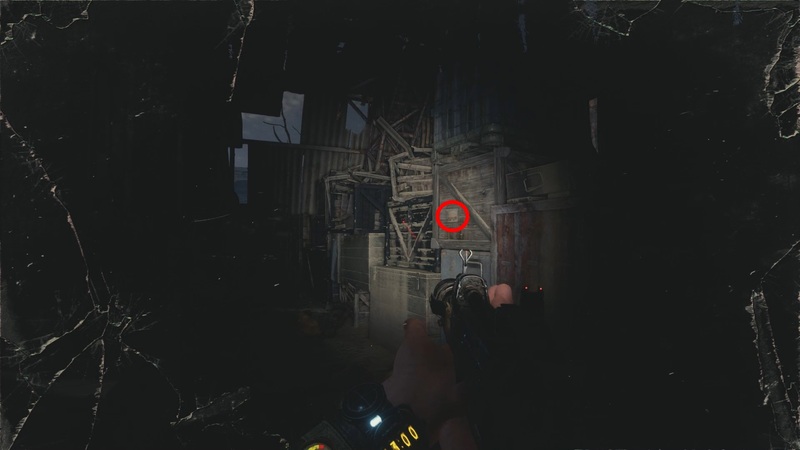 When you take control of Artyom, head out of the train an go inside the old building directly south of it. In this building beside the entrance is the first Postcard. At the top of the lighthouse you will find a postcard. 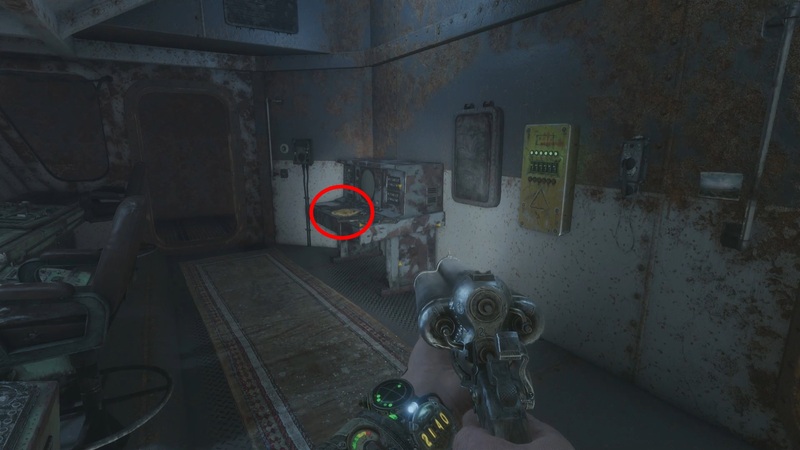 The second postcard can be found in the lighthouse. Clear out the enemies and then take the lift up to Giul. 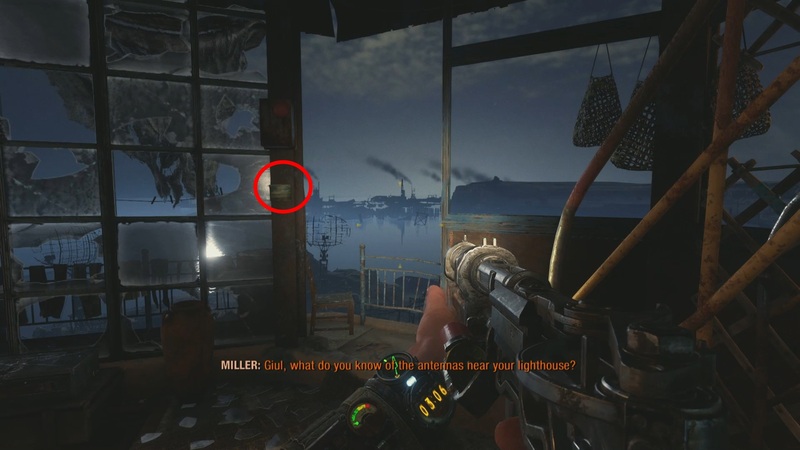 Once at the top of the Lighthouse, make your way inside then look at the frame of the door. On the frame is the postcard. 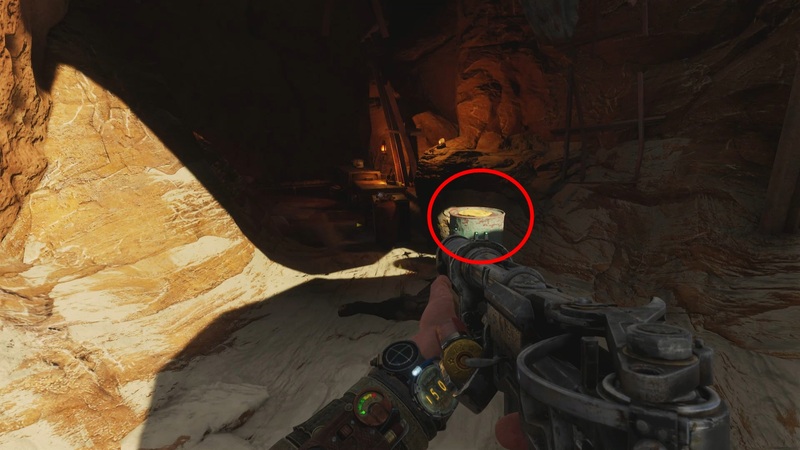 Inside the rusty boat cabin in the Oasis is a postcard. 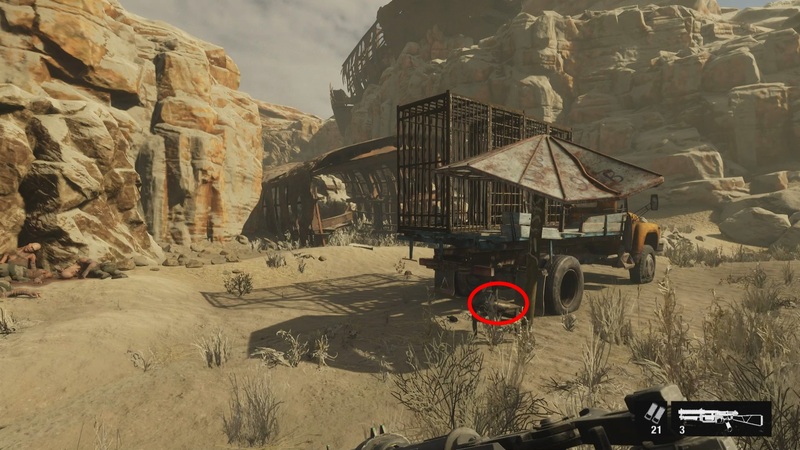 In the Oasis there is a rusted boat cabin sitting in the ground. Go inside the cabin to find the Postcard. By the entrance to the control room you will find the postcard. Along the shore there is a large tanker which is a bandit camp. Make your way through the ship until you reach the control room. In the control by the door is a postcard. There is also a diary in this area. On the very back wall of the hangar is a stack of crates. On these crates is a postcard. Go to the airport and enter the only hangar left standing. Make your way to the back where you will get jumped by some ghouls. Kill the ghouls and look on the last stack of crates only the back wall to find the postcard (crate stacked on blue box). That’s all the collectibles for The Caspian. 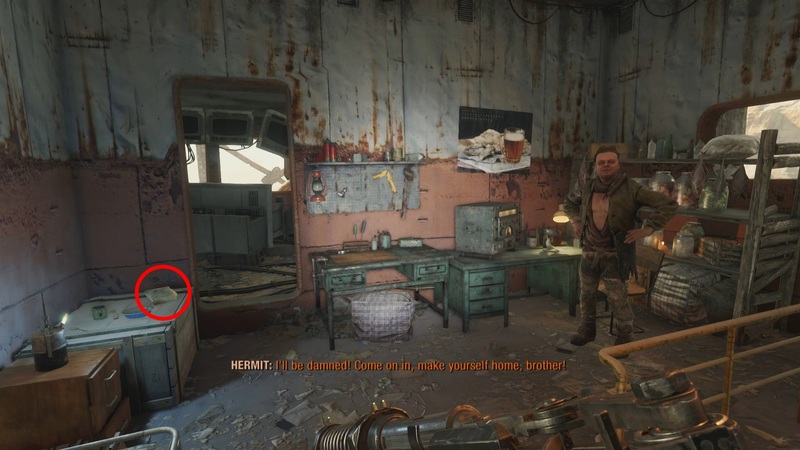 If you want more help tracking down all the collectibles in Metro Exodus, check out this guide here. Thoughts on our The Caspian collectibles locations guide? Drop them in The Pit below. Just so you know, a majority of your map markers for the postcards and diaries are numbered incorrectly. I had to track them down by finding the diary names I hadn’t collected yet. Not the end of the world, but you should definitely fix it for future collectible hunters. Otherwise, your descriptions are great and I’ve been using your guide since the beginning of the game. I think your marker for Diary 7 is actually the location Diary 8, if you’re counting from the collectibles pause menu. Thanks. I will update it.